This high-interest, low-vocabulary novella is intended for adult basic education (ABE) and English as a Second Language (ESL) readers. The year is 1920, and all of Mexico is at war with itself. 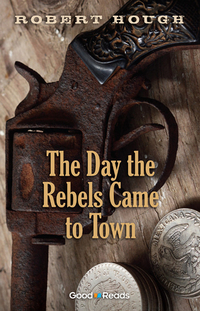 Gangs of rebels roam the country, stealing money, food, and horses. Carlos is twenty-eight years old. He works in his father's cafe. One day, a gang rides into Carlo's village. When the gang leaves, they kidnap Carlos. Weeks later, the rebels and Carlos ride into the town of Rosita. Suddenly, Carlos is forced to make a life or death decision. He does so, though in a way that surprises everyone. Is Carlos a brave man or a coward? It is a question that takes him a lifetime to answer.